Actor, rapper, and producer who won four Grammy Awards and who Newsweek called the most powerful actor in Hollywood in 2007. 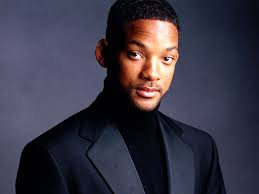 Will Smith’s birth name is Willard Christopher Smith Jr. He also went by the nicknames “Fresh Prince” and “Mr. July”. He is known for dropping the line “Aw, hell no!” in every film that he possibly can. It is his catchphrase. Will Smith is married to Jada Pinkett Smith. He met her when she auditioned for the television show “The Fresh Prince of Bel-Air”. They are a well-respected Hollywood couple. He played the role of Captain Steven Hiller in “Independence Day”. He claims to have based the part on Harrison Ford’s portrayal of the character Han Solo. Before becoming an actor, he performed as a member of a hip-hop duo under the name, The Fresh Prince. In 2008, he donated $4,600 to Barack Obama's presidential campaign. As a rapper Will Smith won a Grammy Award for the popular song “Summertime”. In 1998 Will Smith was selected by People Magazine for their “50 Most Beautiful People” list. His son Jaden costarred along with him in the drama, The Pursuit of Happiness and the science fiction film After Earth. Will Smith could bench 385 pounds while filming I, Robot. A millionaire by age 20, Will Smith admits to spending lavishly on jewelry, a house and luxury cars early in his career. He and his buddies once convinced the salespeople at Gucci to close the store so they could enjoy a private shopping spree. "Being able to buy anything you want makes you a little crazy," Smith later told PEOPLE. Will Smith turned down MIT to pursue a music career. Known for his boundless confidence, Will Smith was worried about making the leap from rapper to actor. When called in to audition for The Cosby Show and A Different World, Smith was a no-show. "I realized later how scared I was to take that step," he told PEOPLE. Will Smith speaks fluent Spanish. Will Smith paid for each of his Fresh Prince of Bel-Air costars to upgrade their onset dressing rooms in 1995. "Mine was called Daphne's little bordello," Daphne Maxwell Reid, who played Smith's Aunt Viv, told PEOPLE. "It had a gold brocade chair with cupids on it." Will Smith turned down the role of Neo in The Matrix. Will Smith wrote the children's book Just the Two of Us. For one of Jada Pinkett Smith's birthdays, Will Smith created a DVD message telling his wife there were clothes upstairs and a car would pick her up in 20 minutes. She was taken to the airport and flown to San Francisco, where Will was waiting for her at a restaurant she'd been reading about. He told PEOPLE, "That's how Big Will does it!" In 1993 he was the host of the Presidential Inaugural Celebration for Youth. He did this for Bill Clinton. In 1999 Will Smith turned down the role of Neo in “The Matrix”. He instead took part in the film “Wild Wild West” which was a huge flop at the box office. He married actor Jada Pinkett in 1997. His children are actors and singers, named Jaden Smith and Willow Smith. In the history of the Academy Awards Will Smith was the first “rapper” to receive a nomination. At age 13 Will Smith was already 6’ 2” tall. This is also his adult height.